The Kuwaiti blogger posted a racist video about OFWs. This is Sondos Alqattan and she's got very strong opinions (read: racist) about Overseas Filipino Workers in Kuwait. "I don't want a Filipino maid anymore," she said in her viral video. In an Instagram post, Sondos publicly complained about a new law that lets OFWs keep their passports and have one day off every week. Snippets of the video were uploaded and translated into English by Turkey-based media outlet TRT News. "But how can you have a 'servant' in your house who gets to keep their passports with them? If they ran away and went back to their country, who'll refund me?" Sondos complained. "And what's worse is that they have one day off every week!" 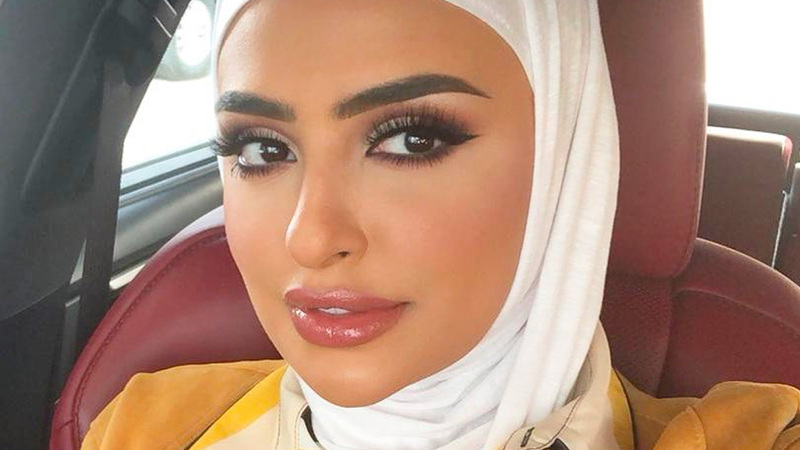 Sondos is a makeup artist and social media influencer from Kuwait. She's got a whopping 2.3 million followers on Instagram, 116,000 followers on Twitter, over 80,000 subscribers on her YouTube channel, and is currently working with several brands in her country. It's undeniable that she's gorgeous; we bet she has real talent, too—but these things don't negate the fact that what she said on her video was just wrong. Netizens have called her out on racism and modern slavery. Other responses urged for brands that work with Sondos to cut ties with her through the hashtag #boycottsondosalqattan. So, what's Sondos up to now? Not to anyone's surprise, Sondos deleted the viral post and has disabled comments on her Instagram account amid the backlash. She's gone private on Twitter and was apparently lying low on social media—until today. The passport of any expat employee should be in the possession of the employer to protect the employer's interest. It's standard practice for many households not to give their employees days off even if it's stated in the contract. She believes that we are all equal human beings with the same human rights. Her situation as an employer differs from that of other people and that no one has the right to judge her without knowing what she's been through. She also thanked those who called her "beautiful on the outside but not necessarily the same from the inside."